Quick projects are simplified projects plans that are stripped down to just the basics: materials, tools, and diagrams. This planter features a wire fencing trellis perfect for climbing plants. 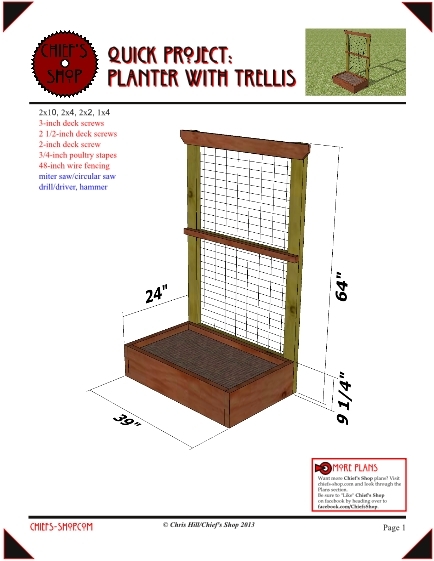 Click on the image to download the 5-page pdf file of this free woodworking plan.